The Society for Conservation Biology (SCB), a leading professional organization for conservation science, has asked the US Fish & Wildlife Service (USFWS) to apply scientific criteria for endangered species recovery under the U.S. Endangered Species Act (ESA). We hope the agency will quickly adopt these sensible standards. For the jaguar, it’s really quite simple: Restore a significant presence of the great cat in the U.S., consistent with historical records. 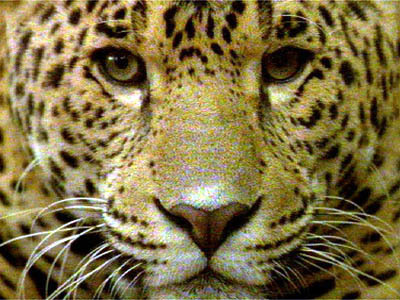 Although the USFWS is finally working on a “recovery plan” (can you believe 16 years after the jaguar was placed on the U.S. endangered list! ), it suggests we need not worry much about jaguar restoration at home: all that’s needed is survival of the jaguar within its current northern range, which is almost entirely in Mexico! Before being shot, poisoned, and trapped to near extinction in the U.S., the jaguar ranged across portions of the Southwest and Texas, with outlying reports as far north as Colorado and east to the Appalachian Mountains. SCB believes that the proper geographic context for species recovery involves distinct ecoregions within which species historically occurred. Clearly, jaguars ranged in the U.S. across a set of biological communities entirely different from those found elsewhere. What’s more, the main purpose of the ESA is to restore native wildlife in the U.S.A., not elsewhere (where, of course, we can help in a more limited way, first and foremost by setting a good example). Improving standards for endangered species recovery in the U.S., as the SCB urges, may help change USFWS’s outlook on the meaning of “jaguar recovery.” It’s time to bring home the jaguar.